They'd likely net comp picks pending our activity in FA. It isn't the greatest but it isn't "little to nothing" either. I can't imagine there will be any free agent activity outside of trying to bring back our own. This team isn't in a good position to bring in any major FA signings, nor do I think any are worth it given the immediate needs along the OL and severe lack of FA talent in 2019. Waynes has allowed 31 catches on 43 targets for 375 yards, 2 touchdowns, and 1 interception, while allowing a passer rating of 104.3 against. His overall PFF grade is 68.8, with a coverage grade of 63.7. Rhodes has allowed 37 catches on 54 targets for 379 yards, 2 touchdowns, and 1 interception, while allowing a passer rating of 93.1 against. His overall PFF grade is 63.4 with a coverage grade of 61.8. 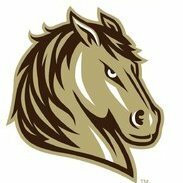 Mack has allowed 30 catches on 41 targets for 322 yards, 0 touchdowns, and 0 interception, while allowing a passer rating of 95.8 against. His overall PFF grade is 68.7, with a coverage grade of 60.4. Their individual grades are interesting considering that PFF has the Vikings with the 9th highest coverage grade, 82.0. I've always advocated for letting Waynes walk after his 5th year option. You certainly can't keep all of them together, but Rhodes is the one guy I'm not trading. Waynes is the expendable one as far as I'm concerned, especially if Hughes is able to pick up where he left off (which isn't always a guarantee after an injury). @Uncle Buck answered his own question when he said Rhodes is better in coverage. In today's NFL, you need the guys who are better in coverage over the speed guys (I'm not certain I agree with him that Waynes has a toughness advantage, but that's neither here nor there) because the rules are so strict that having better technique keeps the penalties down and limits big plays. Rhodes is better in coverage, but it's not like Waynes is bad either - certainly not as bad as some of the people in this forum like to think. When I see Waynes on the field, it looks like he is usually right on the receiver's hip running step for step with him in a great place to make a play. Waynes is also a CONSIDERABLY better tackler than Rhodes is. At this point in their careers, about the only thing Rhodes has on Waynes is a little better transition ability and slightly better hands. I think Waynes can improve to be just as good as Rhodes with his hands as he learns more and more where he needs to be in each situation. His reaction times in transition will probably never be quite as good as Xavier, but what he adds in tackling ability and durability health-wise are enough to make up for that. I'm not sure why it is that people seem to forget that it took Xavier a few years to learn Zimmer's scheme and to learn his craft when it comes to things like not being as grabby running down the field with a receiver. He had his growing pains for 2-3 years. The same was true of Trae Waynes, but for some reason, it seems like people want to keep thinking Trae is the same player he was 2-3 years ago who was just learning, but they give Xavier a pass and think he is so massively better. I don't think the difference is all that great anymore. Xavier Rhodes is one of the best corners in the game, but Trae Waynes isn't far behind him, IMO. It sounds like Rhodes will miss this week's game, so we should get to see how Waynes does going up against the greatest quarterback of all time on the road. I hope he proves me right. It would be nice to have a healthy Mike Hughes too, but we will have to wait until next year for that. He's only 28 years old, not 32. Considering trading a top-5 CB literally in his prime gets GMs and coaches fired. What happens when you have a top-5 CB in his prime and the GM/Coach decide to draft another CB in the first round when there are bigger needs on the roster? The point is, I can see what you mean with your statement, but having just drafted a replacement with a high pick should make up for any flack they would take if they traded Rhodes. In fact, if they traded Rhodes and were able to fill another need on the roster, it may lessen the heat they have taken for drafting Mike Hughes when most of us believe they should have gone O-line in that spot. What would the trade value of Rhodes and Wayne's be? If we let Wayne's walk, we'd maybe get a late 3rd in 2020 if all of the Stars align just right. Is Wayne's for 1 more year and a possible 3rd round pick in 2020 better than a mid 2nd round pick in 2019 (possibly used on a guard) and $13 million extra in 2019? Or would the comp pick not be until 2021? It would be interesting to see which of them has been called for more PI penalties this season. Rhodes is consistently covering better receivers, though, so you would have to take that into account to some degree. It sure seems like Rhodes has gotten more flags this year than Waynes has. I think Waynes has played very well this season. Hughes was not drafted to be a replacement for Rhodes. True, but most people see him as a luxury pick taken when we had much bigger needs. I was just speculating that trading Rhodes and finding a way to refit the secondary with Hughes and Waynes might be a way to correct the error of making that luxury pick and bolstering the O-line or linebacker corps in the end. I think we could very well get a first round pick in trade for Rhodes. Its hard to say that Mike Hughes will replace anyone. Who knows if he'll be the same player after the ACL injury. Waynes won’t cost $13M next year — his 5th year option will be about $9M. Long term contract number for him is probably a similar number, around $10M AAV. 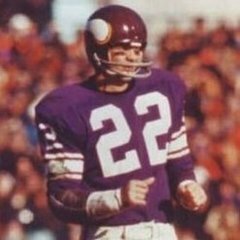 The Vikings haven’t let very many homegrown players leave when they’ve earned long term 2nd contracts. McKinnon this year, but then he wasn’t a starter with Cook drafted. Not sure who was the last one before that. Coller wrote a couple of mistaken articles last offseason projecting Waynes would make $13M. That's the option price if he'd been a top 10 pick (like Barr's $12M this year), but it's cheaper outside the top 10. It'll be difficult to keep them all but I think they can keep almost all of them. Barr is probably the odd man out if he wants more than $10M per year. I'd rather pay Waynes and Richardson what they're worth given the positional value. Assuming both players are asking for fair value contracts, I’m still not sure I’d pay Richardson over Barr. While the team does have Eric Wilson and Ben Gedeon at linebacker, and Jalyn Holmes and Ifeadi Odenigbo at defensive tackle, realistically, you’re likely looking at the draft to replace the one who leaves, and with this class loaded at defensive tackle, while not so much at linebacker, it makes more sense to keep the linebacker and look for a defensive tackle in the draft. I do realize that the tackle position is the more important of the two, Richardson just hasn’t been the force that many were expecting. Do rookie 3T even make an impact as a rookie. I feel like the position has a steeper learning curve, especially over LB. You'll get an impact from a top 15 pick at DT. We would have to lose out to be at that range I think though.